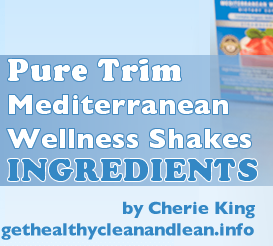 I’ve come to the realization that you’re searching for Pure Trim Mediterranean Wellness Shake ingredients and nutritional facts because the actual PureTrim website only shows a very partial snippet of what’s in them. Perhaps the reason for that is because there’s just SO much good stuff in them, that there just isn’t room to list it all. But whatever the reason, I have FINALLY decided (after much contemplation) to go on ahead and kinda go out of my way to actually type out ALL of the wonderful ingredients for YOU… for your convenience. Awww… aren’t I sweet? 🙂 You’re welcome! And I firmly believe that, once you see what’s in these healthy wellness shakes, you just might want to place an order today for one or two boxes… heck, maybe more! You may even want a whole CASE of shakes! And if you’d like to learn even more about these shakes before you buy such as: how they taste, if they can be used for weight loss, results others have gotten and more, click here! 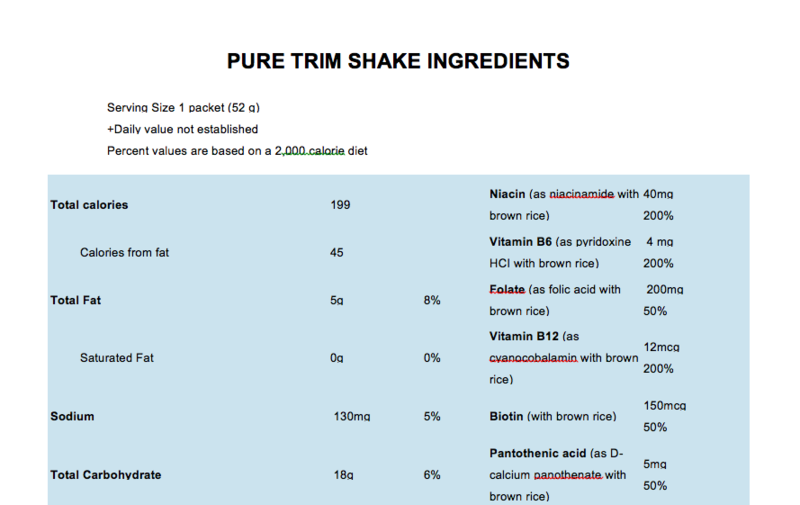 How Much Powder Is In a PureTrim Shake Packet?